I grew up in Ohio. Always felt I was born in the wrong state, possibly because I never liked ice-fishing. I got there for real when I went to college at the University of New Mexico and on my very first day there, I saw a tumbleweed when I got off the plane. From then on, I knew I was free at last. 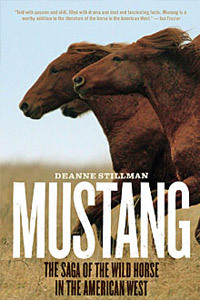 Mustang is about the history of horses in the west, what inspired you to write this book? I grew up around horses; they were an important part of my strange riches-to-rags upbringing. My mother had several and was on the show circuit while my parents were married. She taught me and my sister how to ride. When my parents got divorced, we moved to the wrong side of the tracks, literally – across the street from the racetrack. My mother’s most immediately marketable skill was horseback riding. She became one of the first women in the country to ride professionally on the track – as an exerise boy. We were always around the stables. I was struck by the incredible service of the horses. At some point I realized that by providing my family with a living, they were saving our lives. I wanted to return the favor some day. That day arrived in 1998 when I was finishing up my previous book, Twentynine Palms: A True Story of Murder, Marines, and the Mojave. I was waiting to meet with a source in a desert bar. I picked up a local paper. 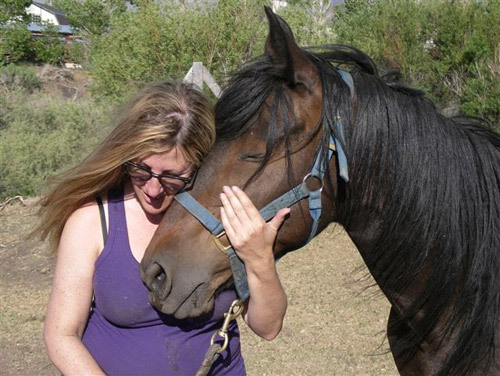 An item said six horses had been gunned down outside Reno. This was a couple of days after Christmas. Two days later, there was another story – now 12 horses had been shot. By the end of that year 34 wild horse carcasses had been found in the Virginia Range outside Reno. I was horrified and thought who would do such a thing and what is happening to our wild horses? A few days later there was an arrest. Three men were accused. Two were Marines and one was stationed at Twentynine Palms. At that point, a lot of things came together for me and I hit the wild horse trail. What I found was an epic American story that went everywhere and touched everyone but was barely known. I had to tell it, and ten years later, I wandered in from the trail with the entire saga. 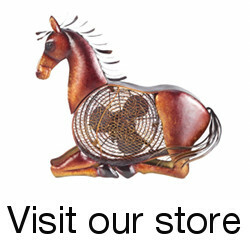 Do you look at the equine animal differently now, than you did prior to your research? Yes. I don’t ride as much as I used to. I want to stay off the horse’s back. It has paid its dues, literally dying for our sins many times over. I don’t care if it’s wild or domestic. I just want to enjoy them. I have many – Melville, Poe, Wallace Stegner, Willa Cather, Louise Erdrich, Charles Bowden, Barry Lopez, Mailer, Capote, Black Elk, Twain, Tennessee Williams, Jimi Hendrix, John Coltrane, Alice Coltrane – it’s a long list that includes a wide range of artists who have inspired me on many levels. While writing Mustang my animal must became Comanche, whose story I tell in my book. Comanche was “the horse that survived the Battle of the Little Bighorn” taken from the wild and pressed into cavalry service, wounded many times, and retired after the Little Bighorn with full honors. An amazing, big -hearted war horse who was on the front lines with us as we took over the frontier. The wild horses that roam the West today are his spiritual and historical descendants. He is our “great silent witness,” as one of his early biographers said, and so are all horses, really. They have seen us at our best and worst, carried us through it all, perished by the millions and continue to serve – yet revert quickly to the wild if given the chance. It blazed our trails, fought our wars, serves as our greatest icon. No horse, no America it’s that simple. If we lose the wild horse, we lost part of ourselves. I’m hoping that my book can help head that disaster off at the pass. Judging from the many wonderful reviews and the passionate and large turn-outs at my events around the country, it has been doing that so far. Don’t. There’s no need to ride a horse, although those of us who do ride know it’s good for the soul. But it’s not good for theirs unless you consider it an equal partner rather than a thing to be dominated and controlled. In general, people need to stop and think about what the horse has done for us before making it take us for yet one more ride. Then, if you do keep riding, perhaps you can give something back to our equine brothers and sisters and try to save the wild ones, as they have done for us so many times. Thanks to Deanne for answering the interview and sharing more about her book. Be sure to check out her website for updates about her latest books. 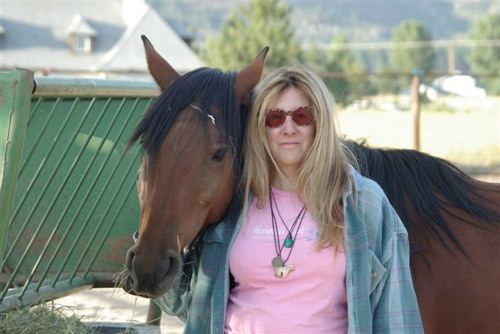 Also stay tuned for more interviews with horse artists, photographers & authors. Are you doing great things for horses or do you someone in the industry you’d like to see featured? Add your name and website in the comments below or drop me a note to get involved. This entry was posted in Interviews on March 24, 2009 by The Equinest. This interview has to touch the hearts of those who love and cherish horses. How can it not?